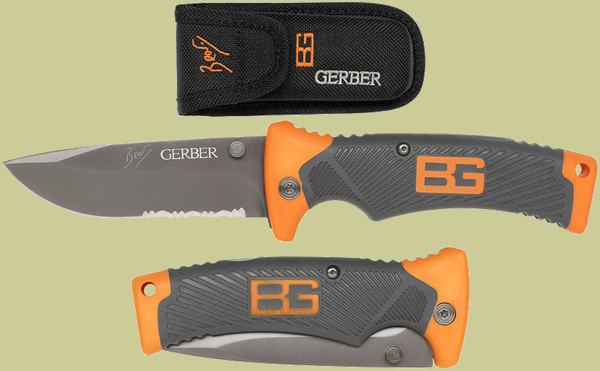 Bear Grylls Survival Series, Folding Sheath Knife. Want a serious knife but do not want the limitations of a fixed blade? 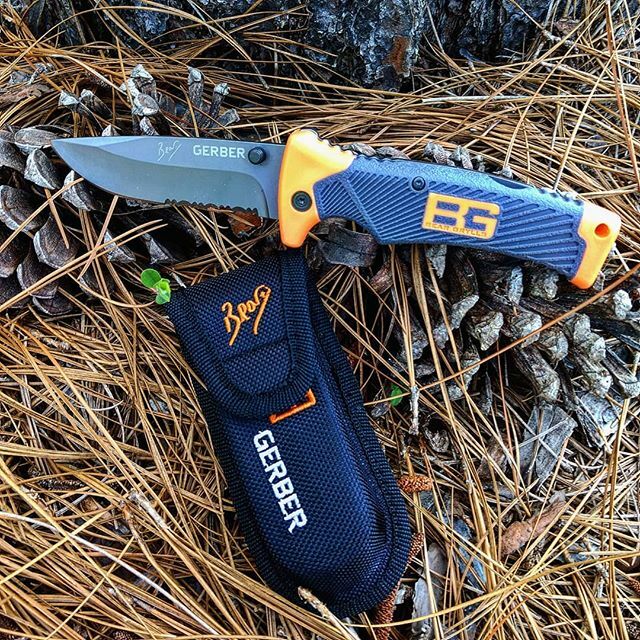 The Gerber Bear Grylls Folding Sheath knife model 31-000752 is for you. The 3.6 inch blade is high carbon stainless steel. The dual sided thumb studs provide ease of opening and the half serrated, half fine edge blade makes this knife a multi-tasker. At almost 5 inches in length, the handle provides plenty of room to get a good grip, and the textured rubber coating makes sure you keep it. It comes complete with nylon sheath and the Priorities of Survival pocket guide.